I also heard from many students that first aid is not enough because they heard from someone else. Let me clarify that a little. When I took the exam I used the 2015 version of First Aid. At that time first aid was missing lot of information. I had to personally fill it up with information from other medical books and Qbanks. However, First Aid 2018 is absolutely amazing and it added lots of information and images from Usmle World, NBMEs, and other Qbanks. So should you buy it and use it as your primary source? Before I answer that question let me tell you something. There is no single medical book that you can use as your primary source. Medicine is constantly changing. And these books get released once a year. I had my success with First Aid, USMLE World, Kaplan Qbank, and Rx. 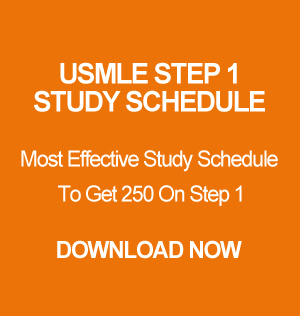 You can read about How I scored over 250 on USMLE using those sources. Now let me tell you why you should buy it and use it as your primary source. First of all, you can buy it from amazon at a very affordable price. And I highly recommend a hard copy. Do not get a pirated PDF copy from online. Anytime you want to study for these exams you should get a hard physical copy of the book. You should take all of your notes on first aid. I wrote a post on note taking skills. Make sure to read it. Why should you use it as your primary source? Because so you can review it multiple times with all the notes that you took on it. It is practically impossible to read entire Kaplan books over and over. However, you can easily read First Aid cover to cover within 7 to 10 days or even faster. Which is why I highly recommend First Aid. But, what if it is missing information? Missing information will happen with any medical books. As I mentioned earlier no medical books will have all the information. You will have to incorporate missing information from USMLE World and other question banks. And make it your to go book for USMLE. I will have a separate post and recommendation on tackling the weak areas from First Aid. Now, you can decide on your own. 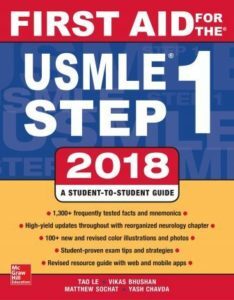 But I would highly recommend First Aid for the USMLE Step 1 2018 as your primary source. If want to speak to me directly about your preparation or study plan feel free to check out my consulting service.